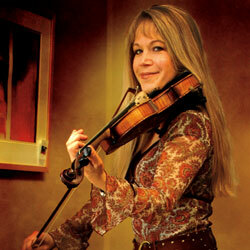 Gretchen Priest created PLAIDGRASS by merging the traditions of Irish, Old-Time and Bluegrass music. Her love of Irish melodies, Old-Time rhythms, and bluegrass harmonies with strong improvisation is what makes PLAIDGRASS unique. PLAIDGRASS can features guitar, mandolin and stand-up bass for a more bluegrass sound, or switch to bouzouki, bodhran drum, and banjo for a more Irish sound. Whatever the configuration, it is always an exciting journey… executed with speed and finesse on a variety of instruments. Gretchen divides her time between performing with PLAIDGRASS, and teaching fiddle and running the Musical Heritage Center of Middle Tennessee that she founded in 2008 in Pegram, Tennessee, just west of Nashville. Her school teaches traditional acoustic instruments with a staff of 35, many who are leading Nashville’s recording and performing professionals. Prior to opening the Center, Gretchen toured with the Bluegrass Band, Crucial Smith, and the Celtic rock band, Ceili Rain. She has often been a featured performer on the Grand Ole Opry, Mountain Stage, Winfield and many festivals across the country. 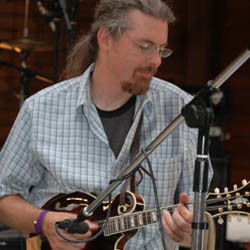 Tim has been working in the Nashville area for over 20 years as a sideman, session player, band member and performer. Higher profile projects have included touring with Patty Loveless and John Cowan, and working as a regular on the Grand Ole Opry with The Mike Snider Band. As good a singer as he is a flat-picker, Tim’s vocals can be heard on his first solo album, “Find My Way Back” (FGM Records), and on “A Bluegrass Tribute To Neil Young”, a cd Tim produced for CMH Records. 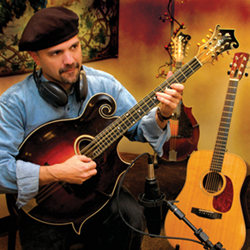 Tim is also a professional endorser and clinician for both Elixir Strings and Breedlove Guitars.